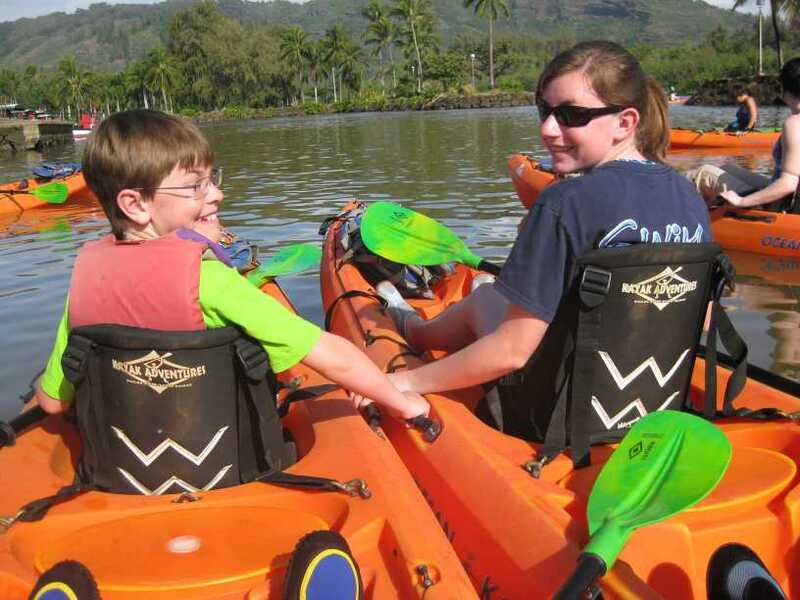 There are plenty of experiences you can have with your kids on Kauai to craft your memorable vacation. Depending on the age and size of your kids, you have many options. If you are less comfortable with them running around the open beach, then your options are more limited. But all those gorgeous beaches would be your first stop. 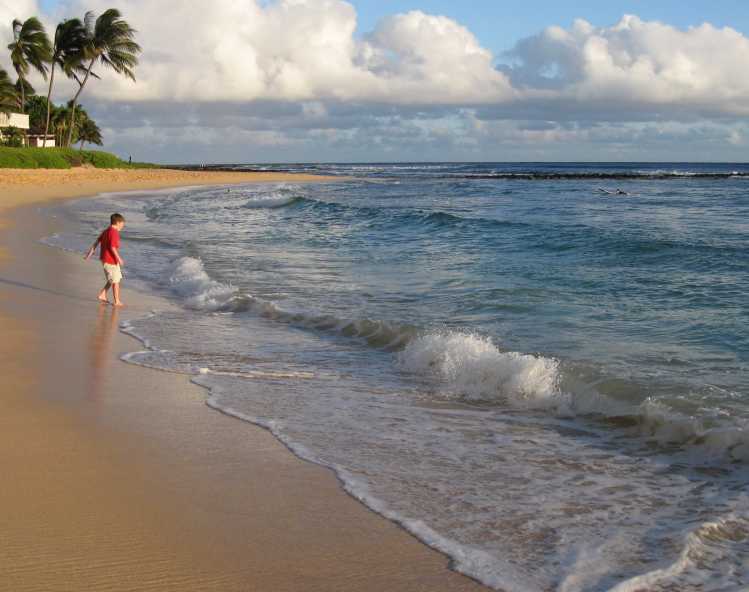 Favorite family beaches include Anini, Ke’e, Hanalei Bay Beach Park, Kalapaki, Anahola, and Salt Pond. 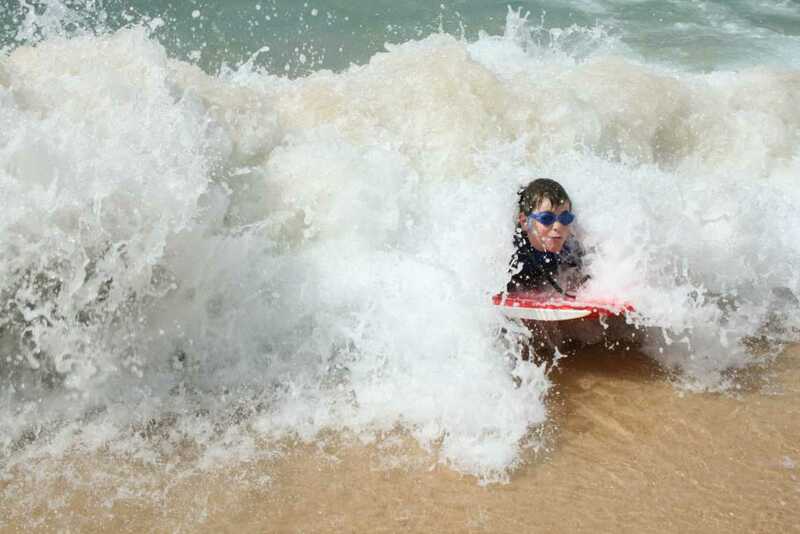 The beaches with lifeguards include Kekaha beach, Salt Pond beach, Poipu beach, Kealia, Hanalei Bay, Haena, and Ke’e. When your kids are old enough, (I can’t give you a specific age, but hopefully you will know) you need to get them out snorkeling. For beginning snorkelers, it’s hard to beat Lydgate State Park. It is enclosed with a rock barrier that protects swimmers from the ocean, but has enough holes in the barriers that some pretty big fish can get in. In the majority of this enclosed area, if you get uncomfortable, you can just stand up. There is even a smaller enclosed pool for the tiny kids. And when the kids get tired of snorkeling, Kamalani playground is on the east side of the park. Always, always, always look at what programs your hotel has going on. My kids have made leis, learned to hula dance, and learned how to play the ukulele at some of these programs. Sometimes there is a small fee to cover materials (like leis), but most of the activities have been free. I have been so strong in suggesting a boat tour of the Na Pali Coast that I need qualify that recommendation a bit. 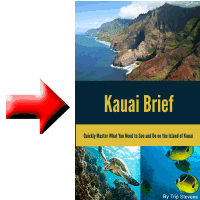 Your best bet to take a boat up the Na Pali Coast is during the summer months. Once, I took my family to Kauai in March. I really wanted to do that boat ride as my kids had not taken in the coast from a distance, but felt that it was still too early. During our trip, we ran into some other tourists that had just done the ride and said it was marvelous. So we changed our plans, paid 600 and something dollars and climbed aboard the boat. We travelled around the southwest corner of the island and headed north. About 20 miles south of the Na Pali Coast, the boat captain idled the ship and then sat waiting for a big wave to come along. When one did, he revved up the engine and ran the boat right into the big wave. He repeated the process several times splashing everyone on the boat. Then he came over the loudspeaker and announced that the water was just too rough to go all the way up to Na Pali Coast. The fellow next to me turned to me and gave me an expression like “What?? ?” They then took the boat out into nice calm water where we hung out for the rest of the day. Half of the boat was happy to be out on a boat. The other half, like me, was seething at what had just happened. Needless to say, at the end of the ride when the tip jar came out, I couldn’t find my wallet. I did locate it a few minutes later. I don’t know whether a more ethical crew could have made it up the coast that day or not, but I did not appreciate being treated like an idiot. It was clear to a lot of us on the boat that the crew never had any intention of making the full trip. My point is that if you are going to spend that amount of money to travel up the Na Pali Coast, you should make sure to take the trip during the summer months when your chances of actually making it are better. These tour companies are always happy to take your money, but will not offer a refund. I did find one company that seems to buck that trend. 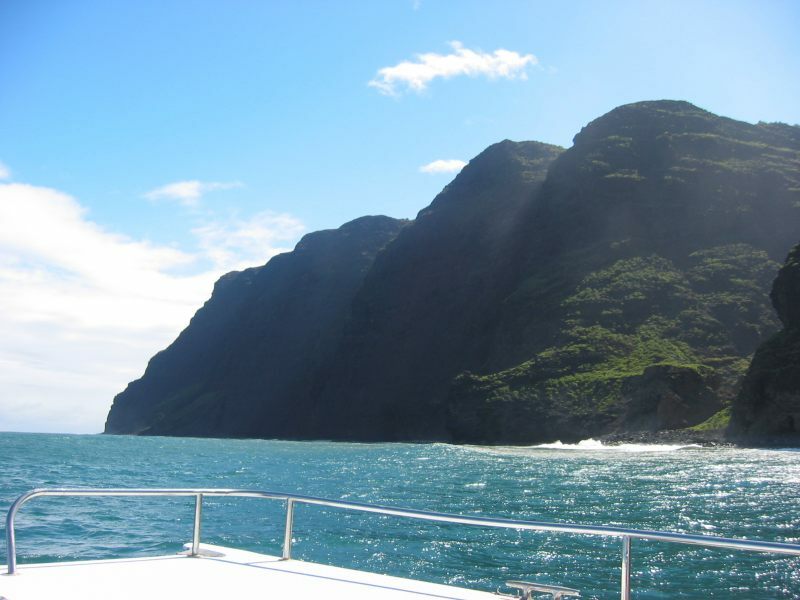 Na Pali Experience only offers Na Pali coast boat tours from May 1st to September 30th. I have not tried them yet but I applaud their integrity.